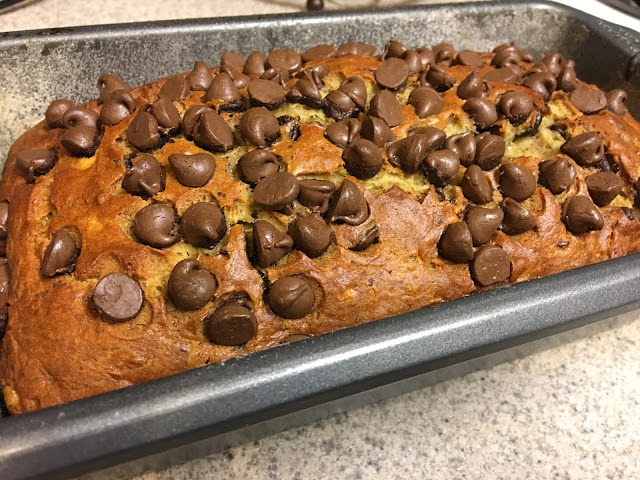 The Best Chocolate Chip Banana Bread Ever! This weekend there were some bananas going brown in my fruit bowl, and there’s only one thing to do with that… Bake! I have a banana chocolate chip cookie recipe that I adore and will share later, but this time I had a craving for banana bread. 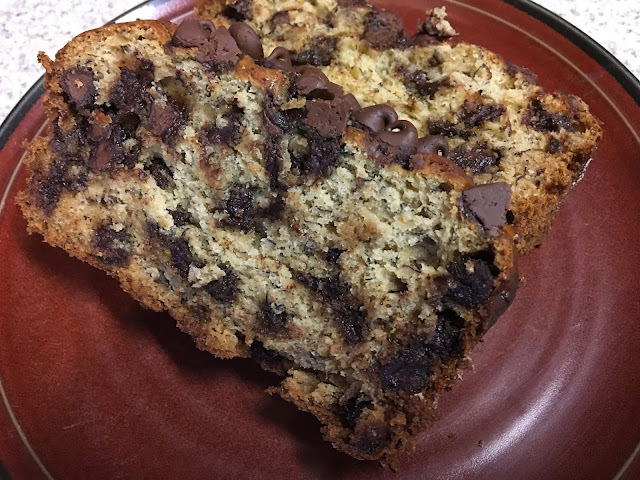 I absolutely love chocolate, and what ended up coming out of my oven was better than any other banana bread I’ve ever had! I upped the butter, brown sugar and vanilla in this recipe to make it ultra moist and delicious! I even added an extra banana and a full cup of chocolate chips! 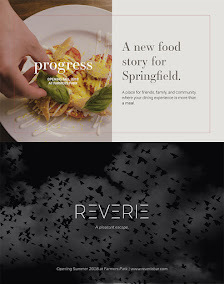 You don’t always have to follow a recipe perfectly. It’s really all about feel. 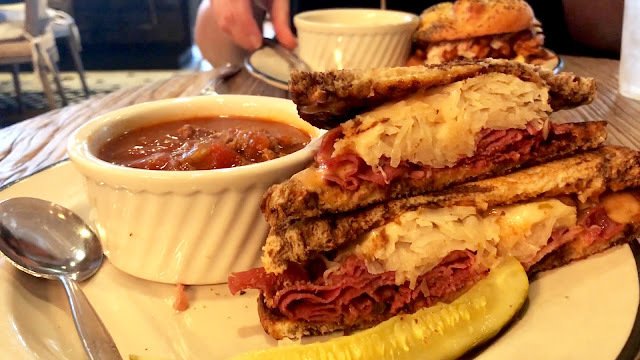 But my rule of thumb is to add a little extra of the good stuff! For instance, the original recipe I was following only called for only 1 cup of chocolate chips. So I stirred in one cup of chocolate, and to my disappointment, the banana bread to chocolate chip ratio was rather lackluster. Why not stir in another cup? 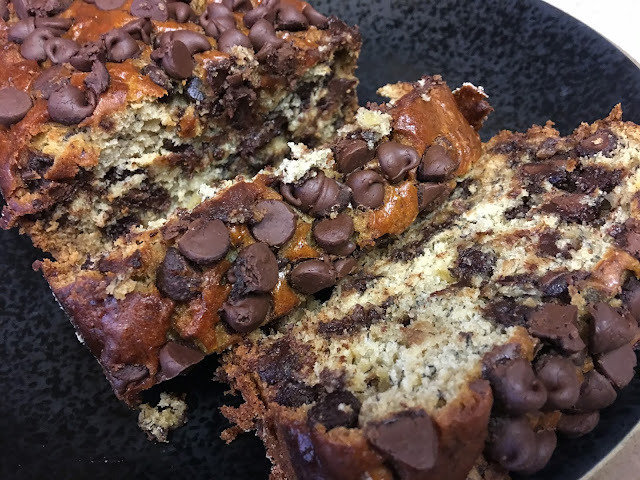 The addition of more chocolate chips made the consistency way better. When it’s hard not to eat the batter, you know you’ve got something good. This all reminds me of making chocolate chip cookies with my mom. 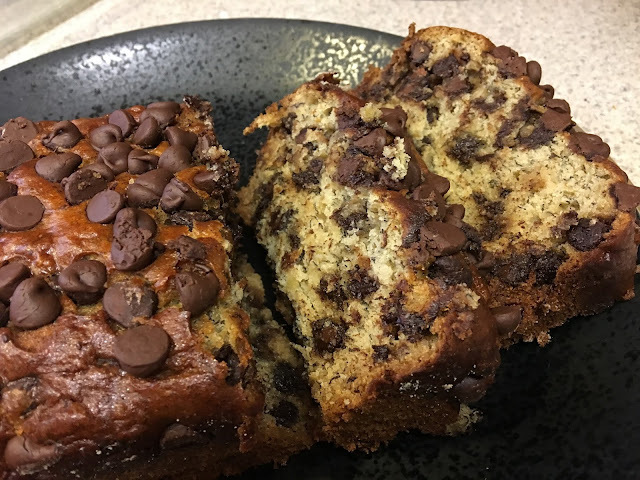 She always added extra brown sugar, extra REAL vanilla extract (which makes all the difference), a little extra flour to make them softer, and the entire bag of chocolate chips! Why measure when you know the chocolate chips are the best part? The cookies, or in this case the banana bread, are only the vessel for the wonderfully rich, melty chocolate chips. Just dump that bag in! And then I remember, that my mother and I would sit together on the couch and eat the cookie dough right out of the bowl. 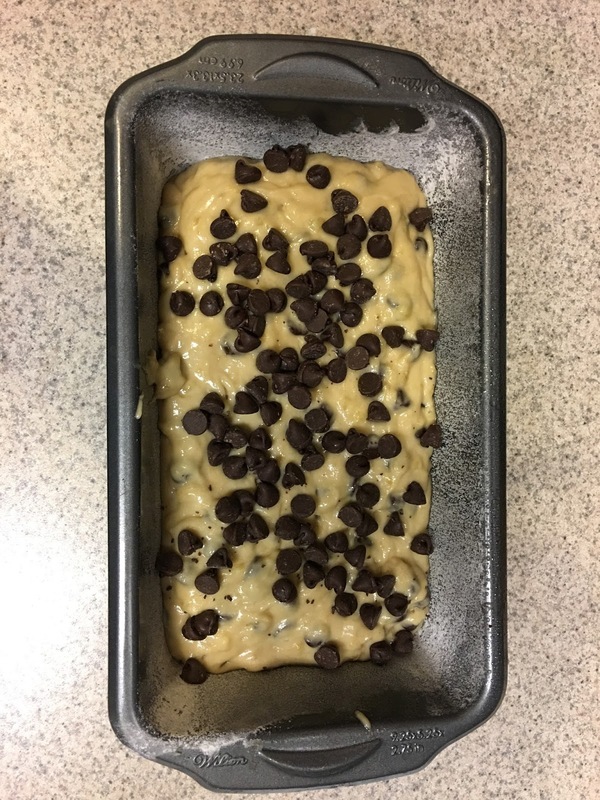 Some of the batter made it into dollops on a sheet pan and into the oven. These were most awesome chocolate chip cookies ever. I suppose everyone says their mom makes the best chocolate chip cookies, but my mom most assuredly does! Another recipe I will share in the future! 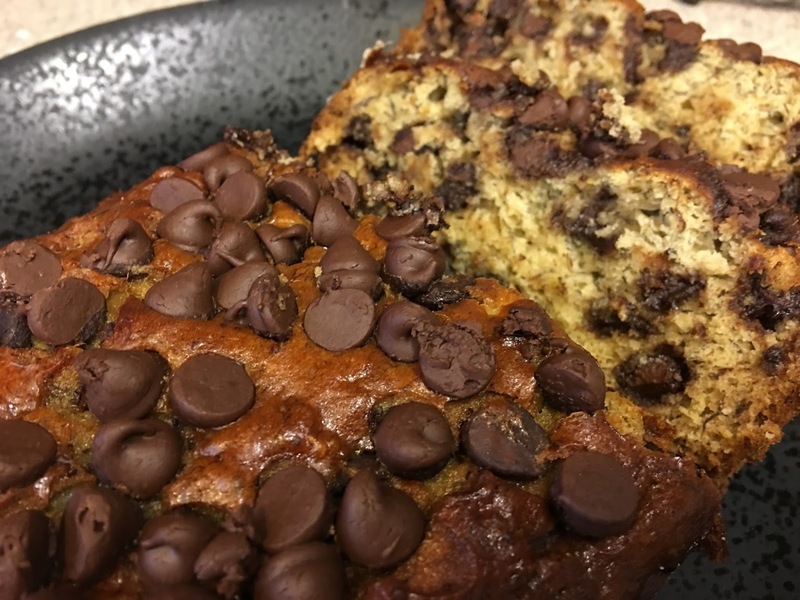 But in the meantime, here is the recipe for my best ever chocolate chip banana bread! In a large bowl mix melted butter and brown sugar until sugar is dissolved. 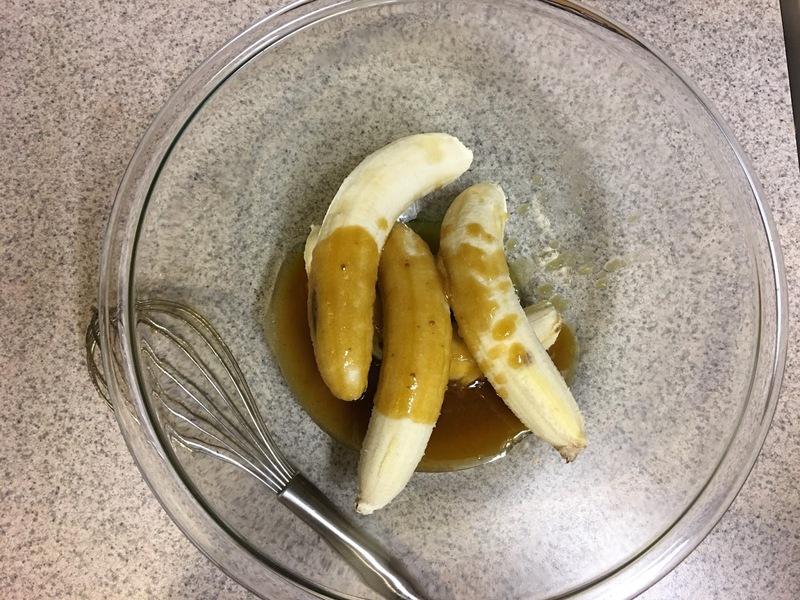 Mash in bananas with a fork or potato masher, and then beat in egg and vanilla extract. Once all the wet ingredients are combined with the brown sugar, you can start adding in the flour, baking soda, baking powder and salt. 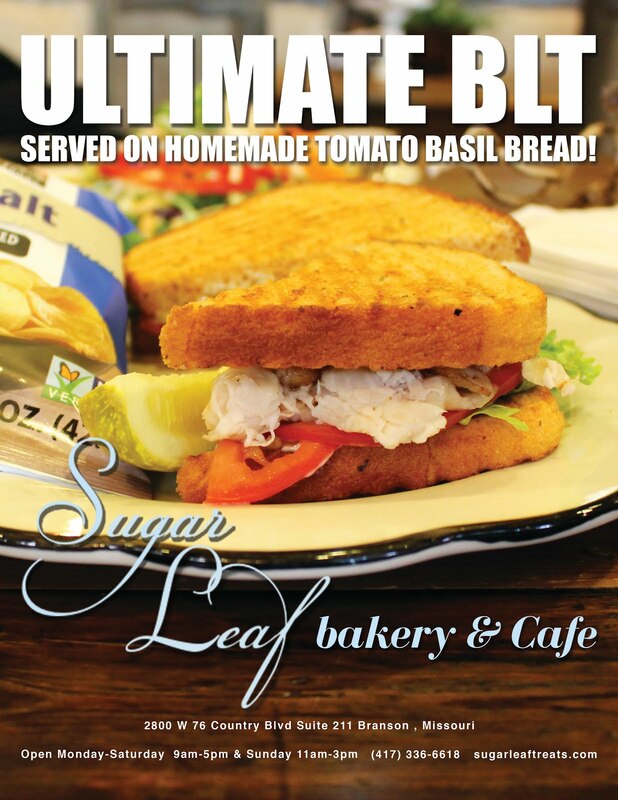 I use kosher flake sea salt from The Spice Agent, located in downtown Branson, Missouri! Making sure the mixture is cooled, fold in 2 cups of chocolate chips, reserving a small handful. 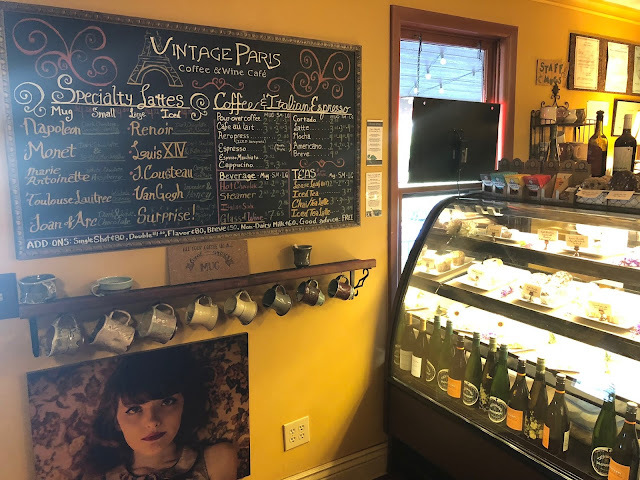 Most recipes call for only 1 cup, but that is certainly not enough for me! Pour batter into a greased and floured loaf pan, and try not to eat all of the batter! 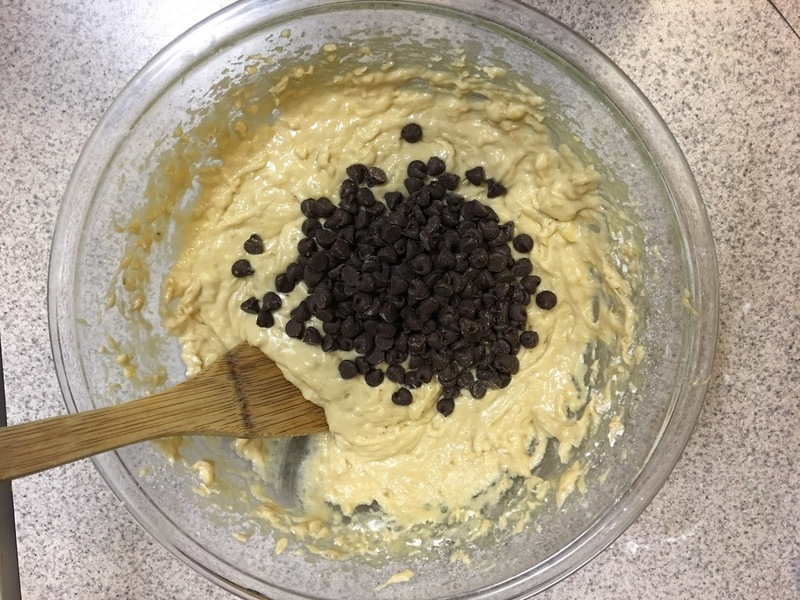 Sprinkle remaining chocolate chips on top, then you’re ready to pop it in the oven. Bake for 45 minutes. Allow bread to cool on a safe place on the counter top, then use a knife to loosen the bread from the sides of the pan. 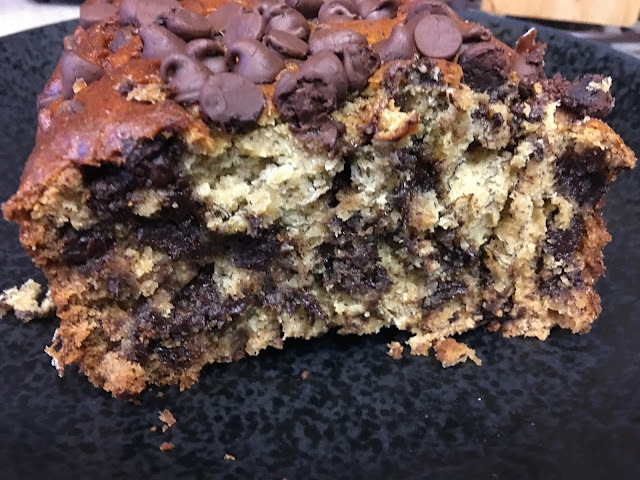 I used a skinny spatula to remove the bread from the pan and then sliced up some pieces for a moist, ooey-gooey, chocolatey treat! Let us know how you liked this recipe in the comments below! 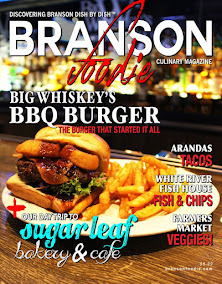 Tamara Styer is the Editor-In-Chief of Branson Foodie Magazine and Deitra Magazine.